Sorry, totally unnecessary, but I can’t stop saying it. Anytime one of my friends posts a Mexican blog post, all I want to do is shout Olay! from the rooftops while I simultaneously snap my fingers like the guy in those El Paso commercials – does he do that or am I creating a fictitious scene in my head? Anyways. All this Mexican food is making me downright giddy. Rightfully so, because how could you not get excited about things like Tequila Lime Chicken Fajitas or Dulce De Leche Churro Donuts, or Baked Horchata Glazed Donuts, or Classic Chilli con Carne or Loaded Pulled Pork Sweet Potatoes with Mango Guacamole or or or so many other things. All I want to do is dive head-first into each post, but my computer screen kind of gets in the way. I had all my posts planned out for this week a month or so ago, because, A. I’m a planner, and B. I get really excited for Cinco De Mayo, but my carefully thought out plans were revised Saturday night after a run-in with a rather strong tequila old fashioned and a very inventive guacamole. Normally Kevin and I are hole-in-the-wall Mexican type of people – our favorite restaurant isn’t anything fancy, in fact, it’s quite the opposite, but the margaritas are strong and the salsa is spicy (and free) so more times than not our hole-in-the-wall wins out. Once in a blue moon I convince my set-in-his-ways husband to venture out, because even though I absolutely adore my hole-in-the-wall, I like a change of pace every once in a while. So when Kevin sheepishly mentioned a trip to our Mexican “spot” Saturday night, I casually mentioned another, slightly fancier (ok a lot fancier) Mexican spot – one where the salsa and chips are not free and the margaritas aren’t on tap, something that completely pisses Kevin off (the lack of free salsa, not the lack of a margarita tap). Imagine my surprise when he agreed instantaneously – que shrill squeals of excitement. Our night started off with a hour and half wait, a Mexican beer for him, the aforementioned tequila Old Fashioned for muah and a shared order of the guacamole of the day. BUT this guac was not just any guacamole, it was chock full of crispy, salty bacon, sweet pineapple, and plump, juicy shrimp – and it was HOT. 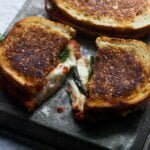 Such an odd combination, but seriously so delicious — I vowed then and there that I would recreate it, and share it here with you. I’m not sure how they made their version, but I started out by browning the bacon up, and then used the hot pan and some of the leftover fat to get a nice sear on chili dusted pineapple and shrimp — it’s amazing how a little spice and bacon grease can really take an ingredient from good to oh-my-gosh-why-have-I-not-been-eating-it-this-way-my-whole-life good. The rest is pretty simple, I mashed the avocado up, leaving it pretty chunky and gently tossed it with the caramelized pineapple, plump shrimp and crispy bacon. I seasoned it simply with a little bit of salt, cumin powder and lemon juice. I like to use lemon juice for a couple of reasons: 1. Because that’s what Ina does, and I’ve fallen in love with it. 2.Because apparently there’s a lime shortage, so consequently all limes are crazy expensive and also hard as rocks. I learned that the hard way, when I overlooked the price and decided to grab a few anyways, I think I might have gotten a teaspoon of juice out of three limes — never again. Of course I reserved a small handful of chopped bacon, pineapple and shrimp for garnish, because as Ina says if you can, have the the ingredients on display so people know what they’re eating — kind of genius, who wouldn’t want to eat guacamole topped with copious amounts of bacon, shrimp and pineapple?? Stayed tuned on Friday for another Cinco De Mayo recipe that rhymes with schmilada. Shocking, I know. 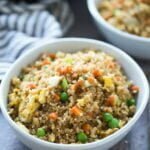 This one is gonna be good though, five ingredients, no rolling and SO easy! 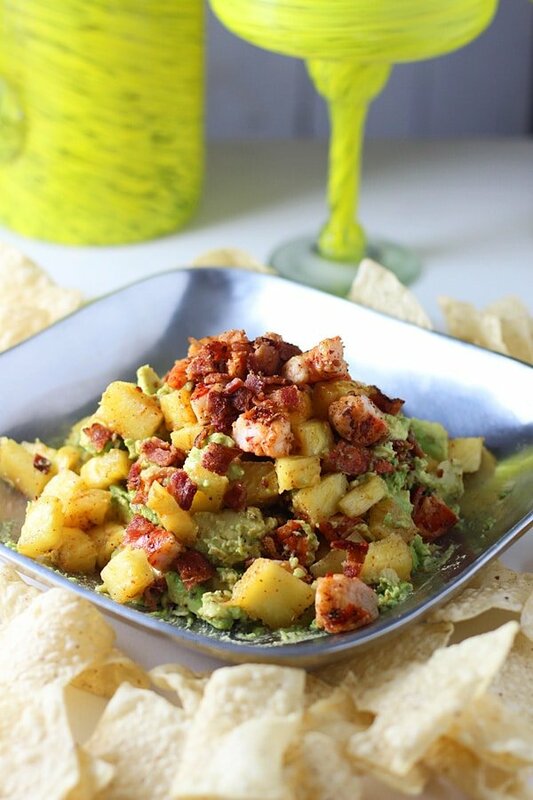 This bacon, pineapple and shrimp guacamole is sure to please a Mexican food lovin' crowd! Brown bacon. Chop into small pieces. Reserve 1 tablespoon grease. Dust pineapple and shrimp on both sides with chili powder. Season with a little bit of salt. Over medium-high heat sear shrimp in remaining bacon fat. Remove from pan, and chop into bit size pieces. In a bowl, slightly mash avocado. Add ¼ teaspoon salt, cumin lemon juice and jalapeno. 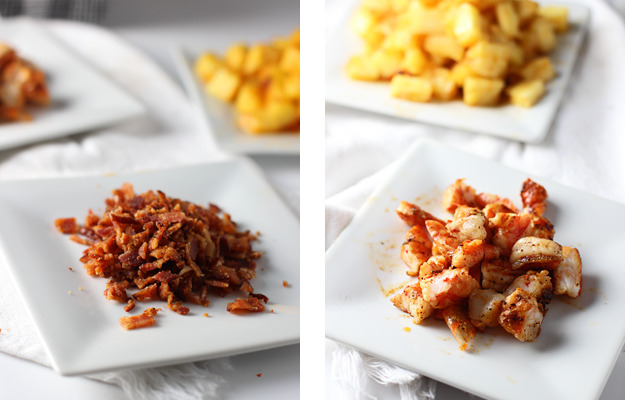 Gently toss in shrimp, pineapple and bacon – reserve a little bit of each for garnish. Season to taste with salt, cayenne and lemon juice if necessary. Top with remaining shrimp, bacon and pineapple. 44 Responses to "Shrimp, Pineapple and Bacon Guacamole"
Thanks so much for sharing my horchata donuts!!! And oh my freaking gosh this looks amazing!!! 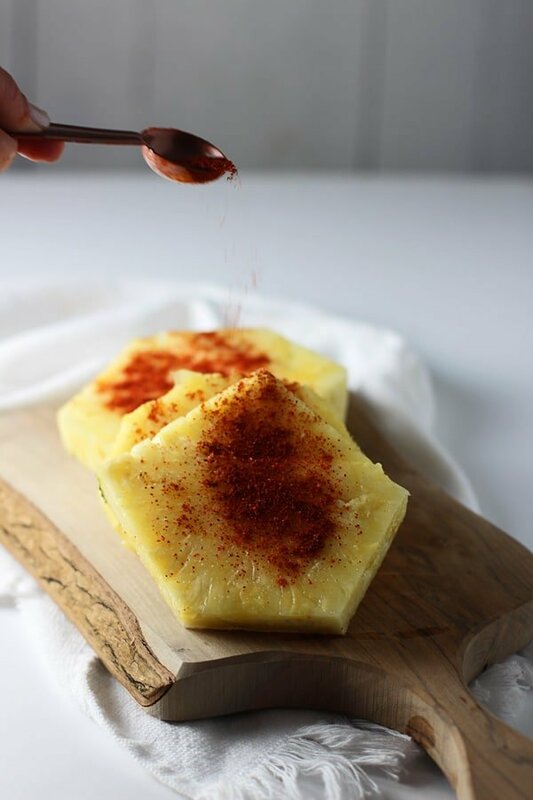 I absolutely love the idea of the chili dusted pineapple!! I love adding bacon to guac but this pineapple is going to add a whole new level of awesomeness! Ummmm those look seriously ridiculous! I’m so so obsessed with all of your donut creations – they’re on my Blogger Friday list, whenever I get those started back up again! Thank you Chris!!! You’re SO welcome my dear!! It looked so yummy! Thanks Jess! ohmygoodness! This guac! I’ve never seen anything like it and I now I want to dive headfirst into my computer screen! This sounds like perfection..I’m so happy you could convince your hubs to take you to the fancier place, just so you could share this..and old fashioned margs? Whaaaa?! haha okay first, now you have me wanting to start saying Olay! every 5 seconds. 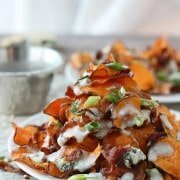 We are having friends over this weekend for cinco foods so it would be perfectly acceptable to do that while they are around right?? And this is some serious guacamole! Ugh it looks so good – I want some! And thanks for sharing my potatoes!! Hahahaha absolutely, and if you do, please videotape in and put it on Instagram, so I can enjoy. 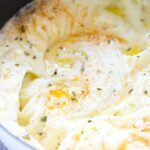 🙂 You are soo welcome — those potatoes looked INSANELY delicious! I just died and went to guacamole heaven. Pass me a bucket of chips, please. Why even use chips??! I just ate it by the spoonful. ;) Thinking of you and your baby girl Stephanie!! 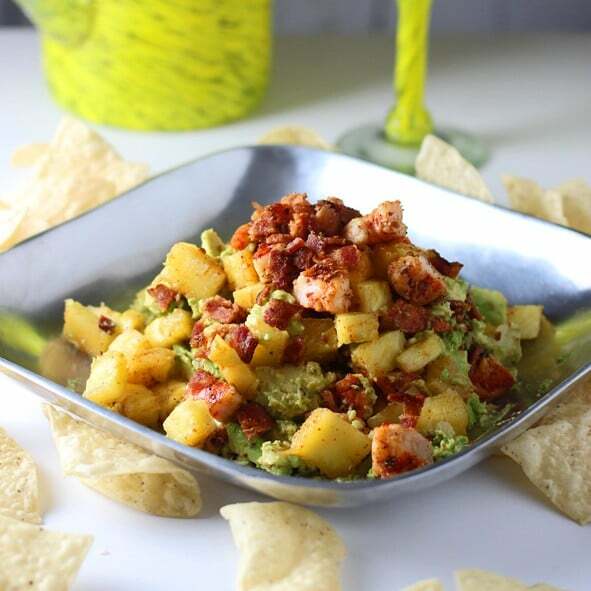 Wow, I love the idea of adding shrimp and bacon to pineapple guacamole! 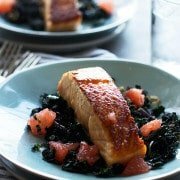 It’s practically a meal! Hahaha I know, once you get it in there, it doesn’t stop! Ha! 20 different kinds of salsa???? Holy cow. I would die!!! Why can’t we have palace like that here in KC?! Thanks Isadora! Once again fabulous!! 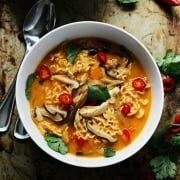 All I have made is Mexican recipes from your blog!! Seriously good!! I’m seeing every food group I could possibly need right here in one bowl! P.S. Thanks for the fajita love! Hahaha yes!!!! You’re welcome Anna! I’m so dang into this! Man, I love pineapple with spice on it! I want it! Ole! Anything you add bacon too never disappoints for one. Second, this sounds like a strange but awesome combo!! Guacamole can really be versatile if you let it. I’m a whole in the wall mexican food lover, and I guess fancy places too. Such a bummer when chips and salsa aren’t free. SO silly, that should just be a given at ALL Mexican restaurants if you ask me. Well doesn’t this look amazing!! I love love LOVE guacamole and pineapple!! YUMMY combo! 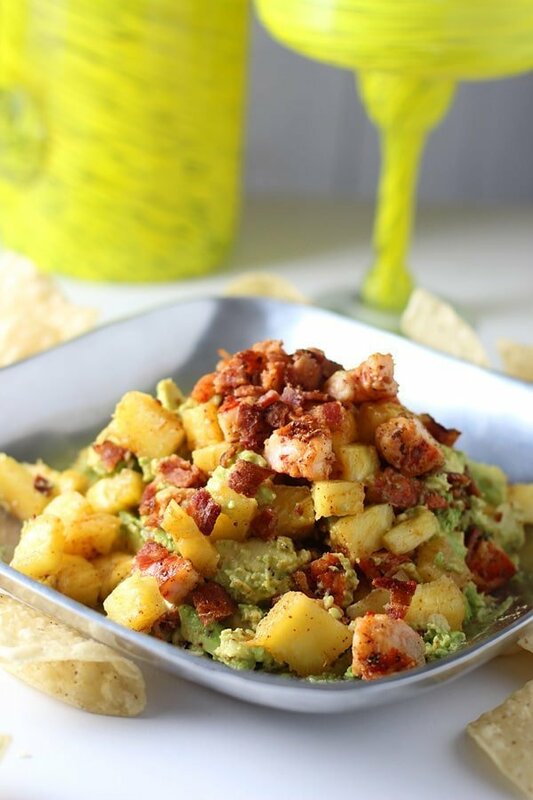 Love the idea of adding shrimp and bacon to guacamole! This sounds incredible! Man, I don’t know if I’ve ever seen or heard of a better guacamole than this one. 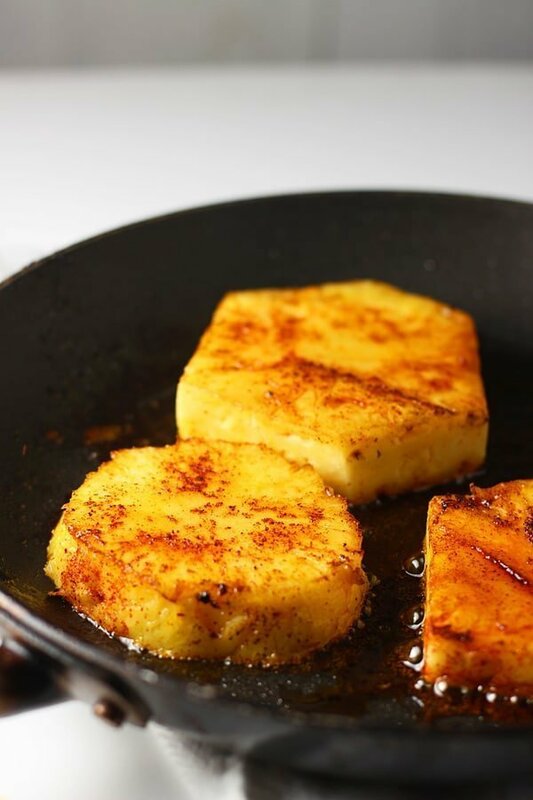 Dying over the spiced pineapple – cannot wait to get home and try it later today. I want!!! Thanks Kathi!! The chili powder adds such a wonderful caramelized, smoky flavor to the pineapple! So good!! Nicole, you just seriously made me laugh out loud with your olay! Love it! 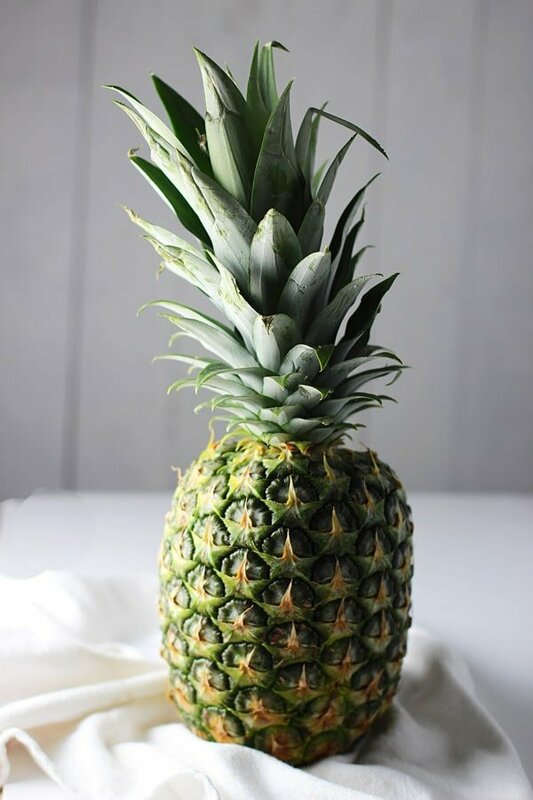 Such a fun recipe with the bacon and the gorgeous pineapple! Hahaha I just can’t stop saying it!!!! Thanks Gloria!! this is freakin’ major!!! I’m so with you and Kevin, I think most couples tend to go for the hole-in-the-wall Mexican places on the regular, but every now and then when you go to the pricey places, you try some pretty amazing stuff! I die that this is a sweet-spicy-salty trifecta, that is like the holy grail for me! Wow, what a compliment, thanks Helen!! I loveee when restaurants inspire me! I know, right?!! Hahaha Every time I see another, I’m like ooooo aahhhhhh, must make now!!! Thanks girly! It was soooo good!!! Thank goodness for restaurants when I’m in desperate need of some inspiration! !